b.LaY is an artist based out of Los Angeles, he dropped his debut EP, Jan 1st 2017 2017. 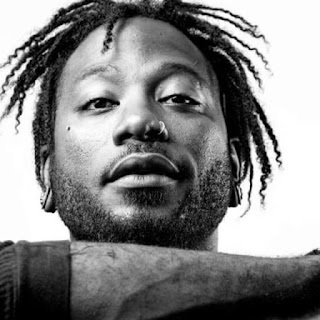 Known for his introspective and uplifting lyrics, combined with his unique style of delivery, he has been a rising star within both the rap and alternative communities for the better part of the last five years. Born in Carson, California and raised in Oceanside during his teenage years, he was exposed to two very different social and economic environments, which gave him a wide variety of friends with interests in a vast array of music. This would be instrumental in his development as he would soon be using his creative voice, developed during this time, on stage. b.LaY was a hype man for Deuce and worked security/hype man for Ronnie Radke of Falling In Reverse. This allowed him to tour across multiple continents and see the music world from the inside-out, while also reverse engineering his own career from the mainstage of festivals like Warped Tour, Soundwave, and Uproar--performing on stage for thousands of people at a time--to his own DIY shows while at home. So far, he has released three mixtapes (2causeaneffect, Initiation I & II) all of which are available for free on the music page. He also appears as a feature artist on multiple songs by Ronnie Radke, one of which features Deuce as well, that have generated millions of views online. b.LaY is currently working on iLLnitiation;Redemption set to be released summer 2017. This combination of skills and experiences have allowed him to transcend genres as an alternative rapper/singer heading to a mainstream platform--a rapper who can sing and has charisma like a rockstar.